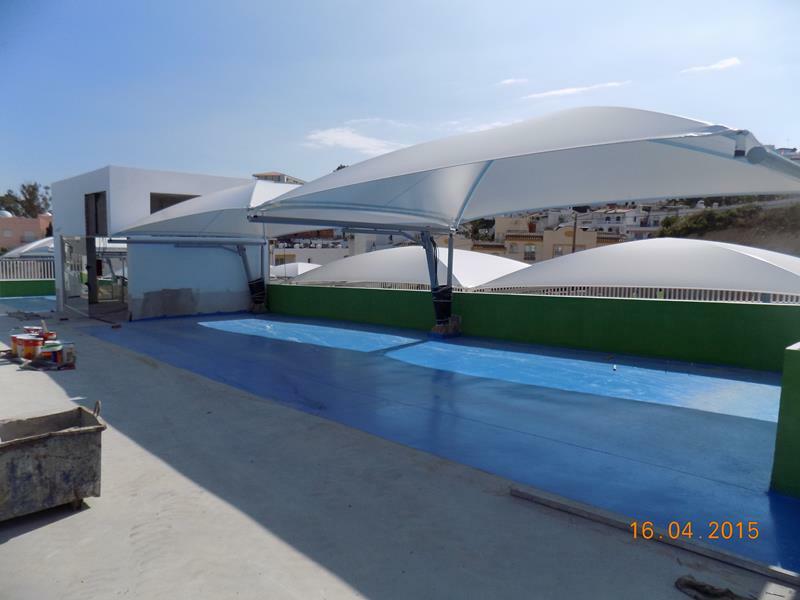 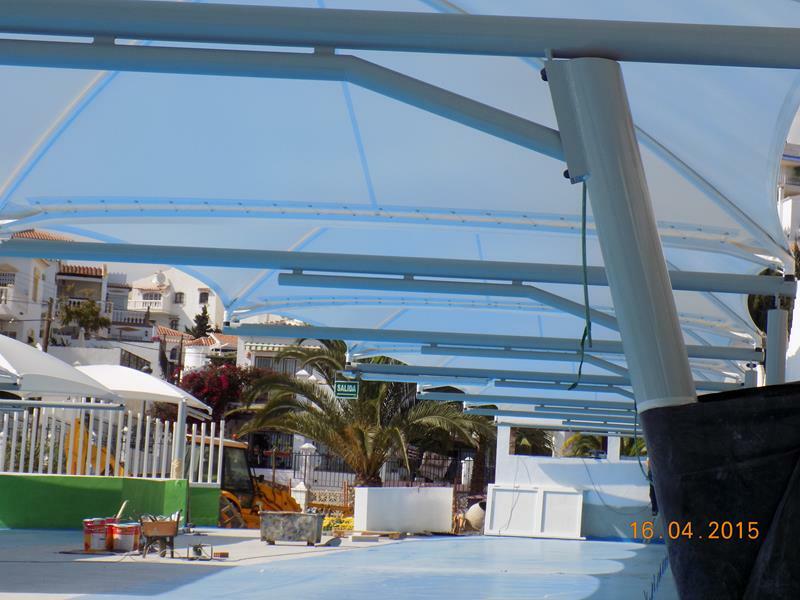 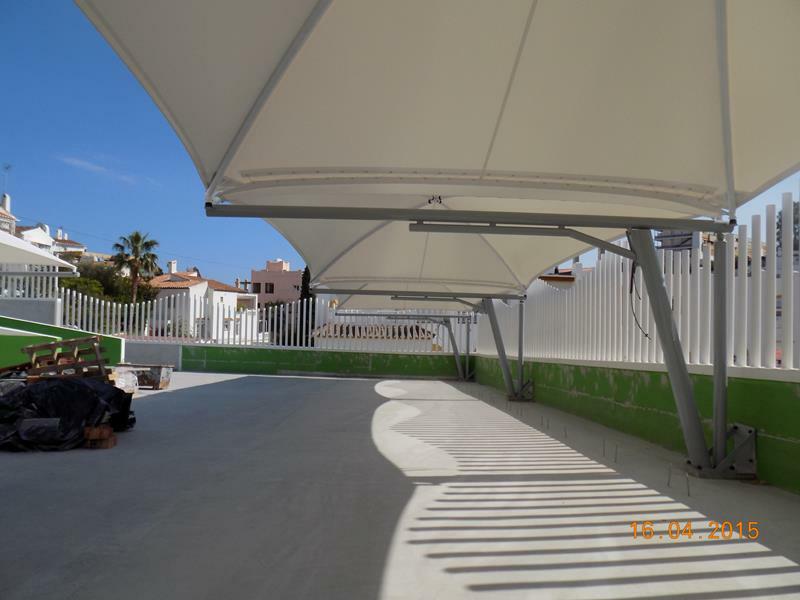 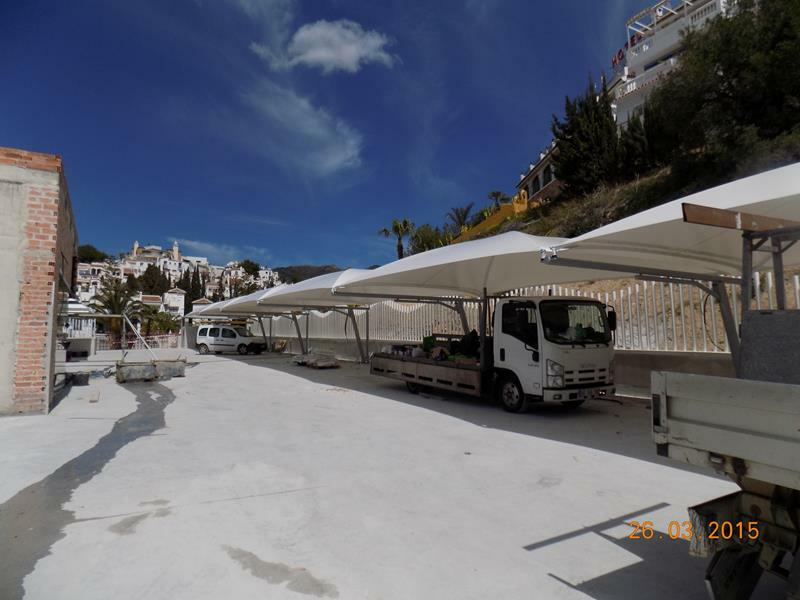 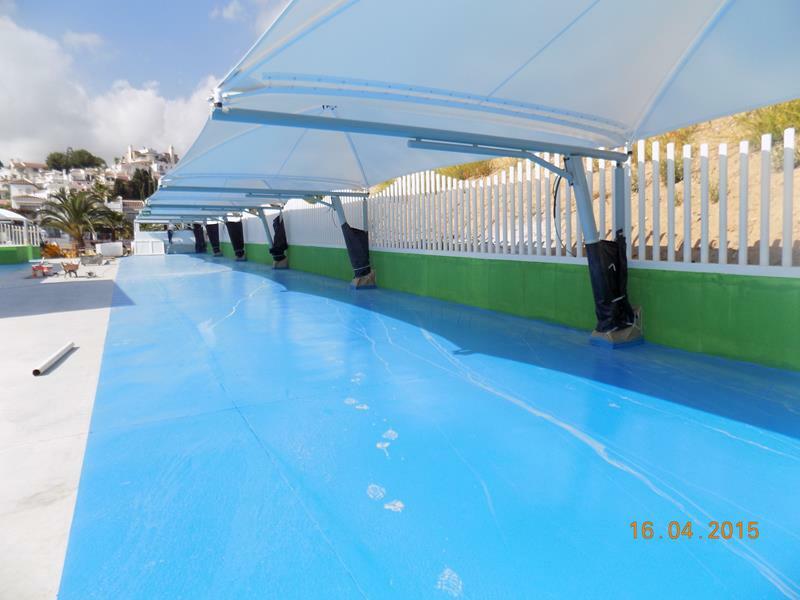 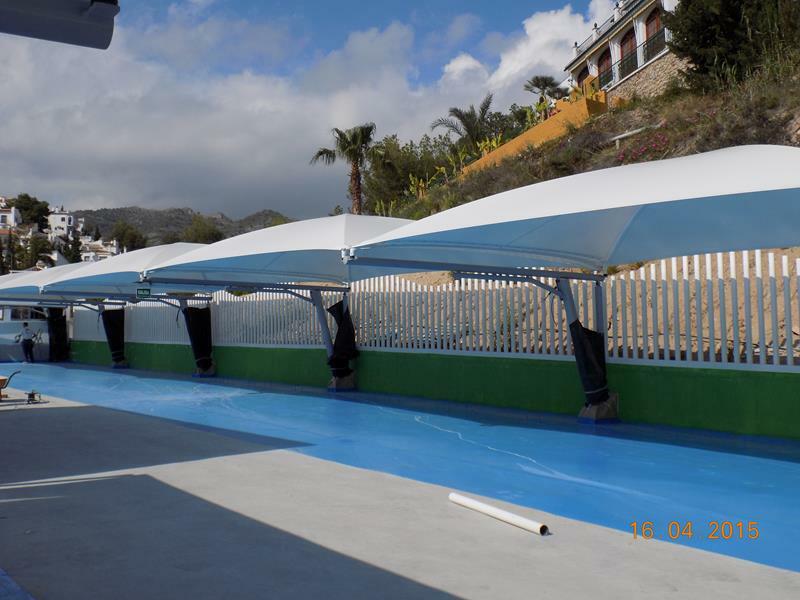 Last month of April, we installed a new metallic textile covering in Nerja, located in Malaga, Spain. 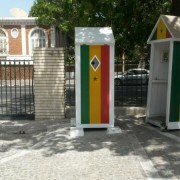 Our client chose our textile covering to cover the municipal Tourism Office. 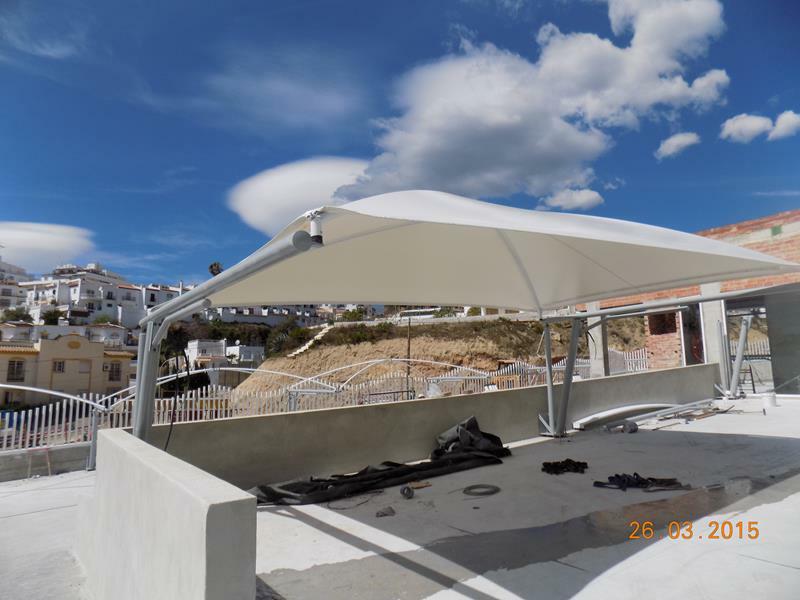 We realized this model made-to-measure with a special height. 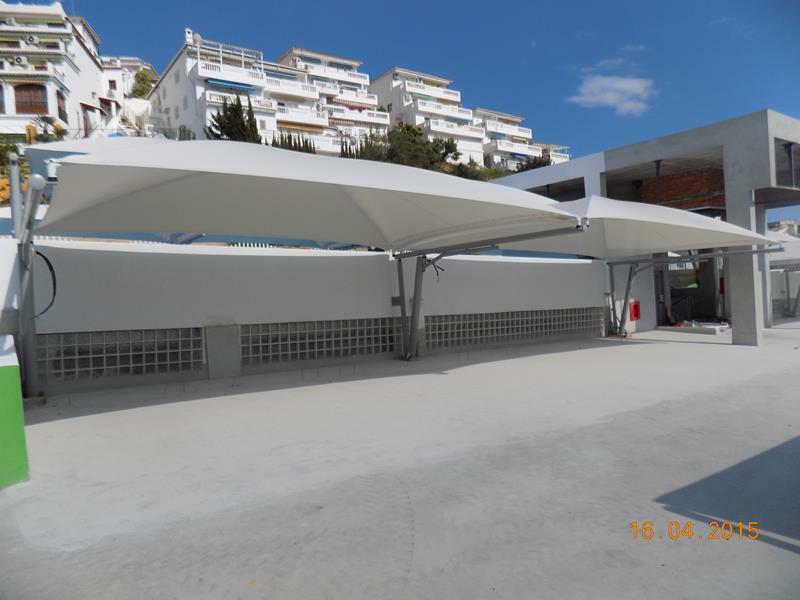 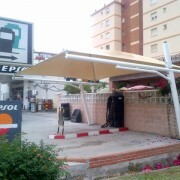 Moreover, we installed a textile shelter for a parking at the same place. 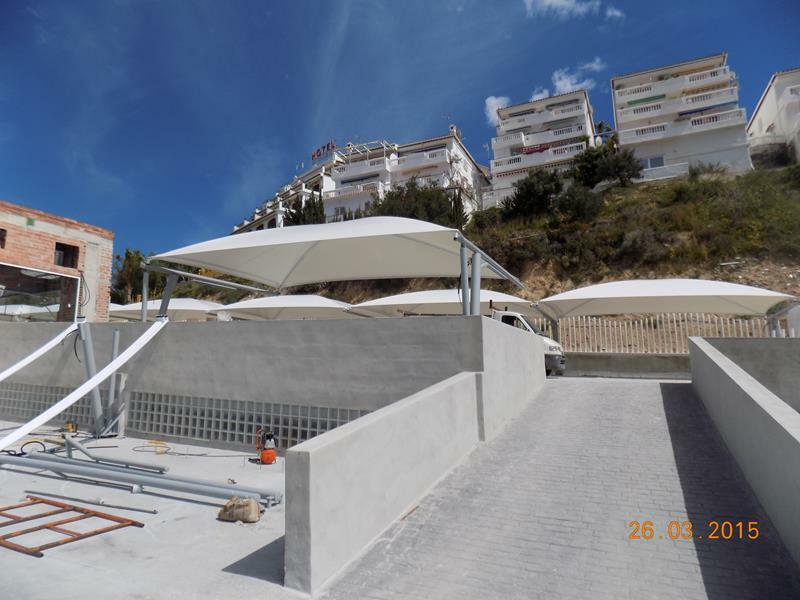 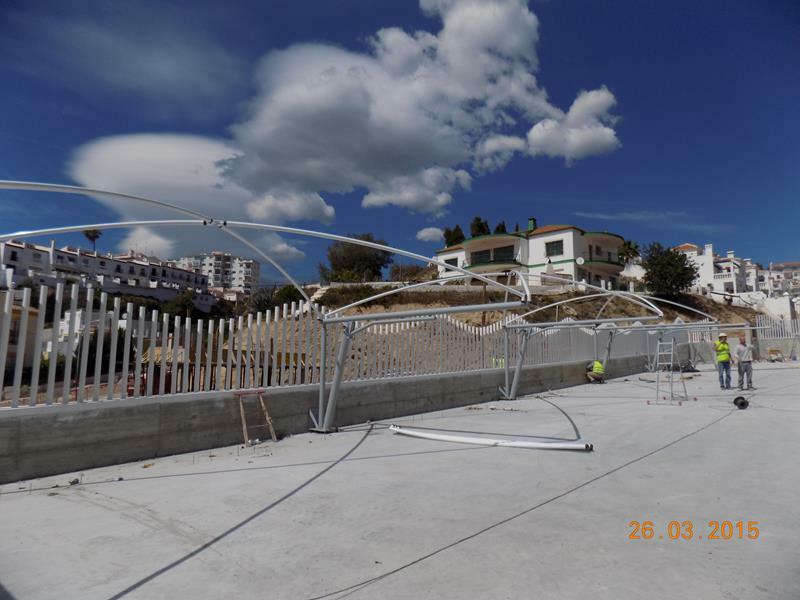 There are more than 60 parking spaces, installed for the Burriana beach. 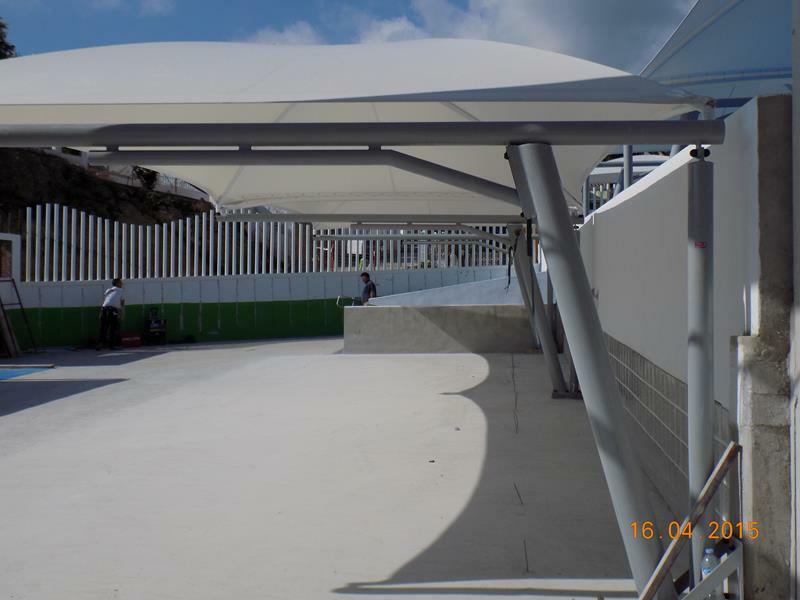 The works took only two weeks to be made. 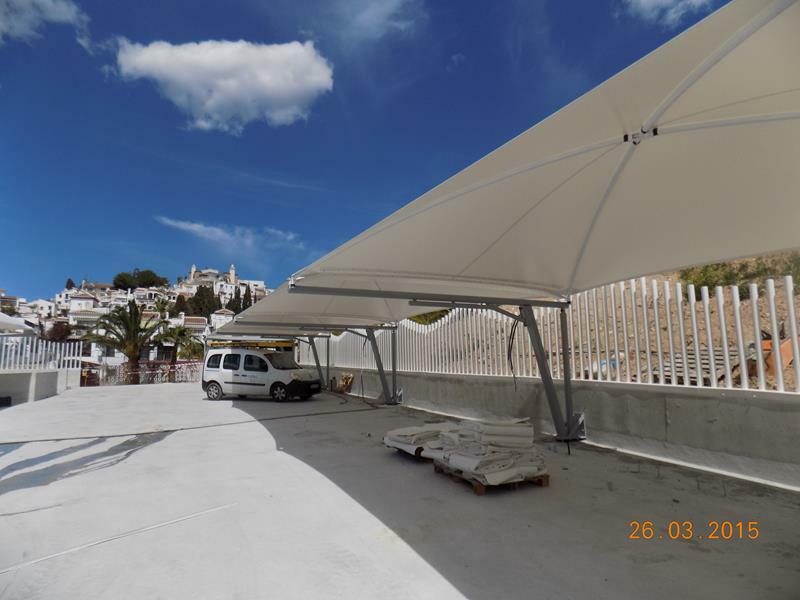 The aim is to protect cars from sun and rain. 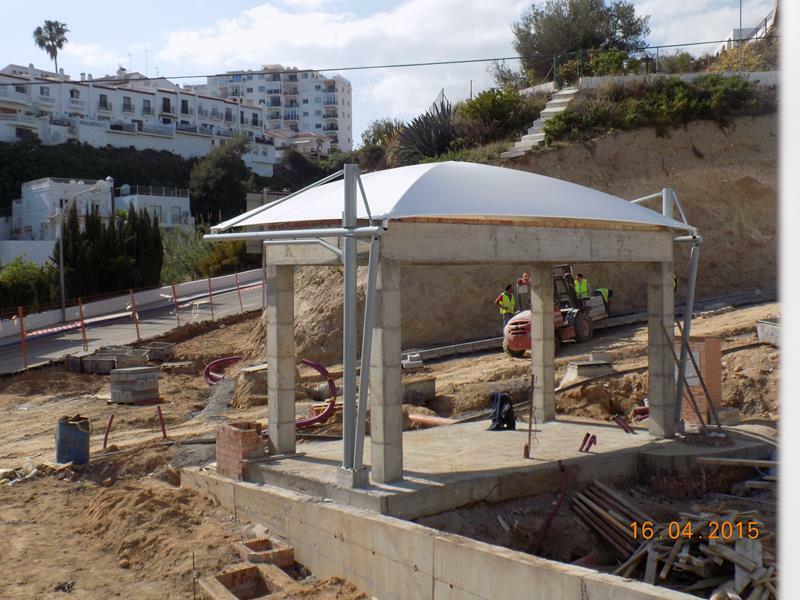 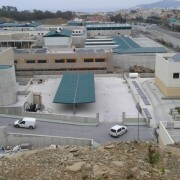 Here you can see some pictures of the works and the assembly. 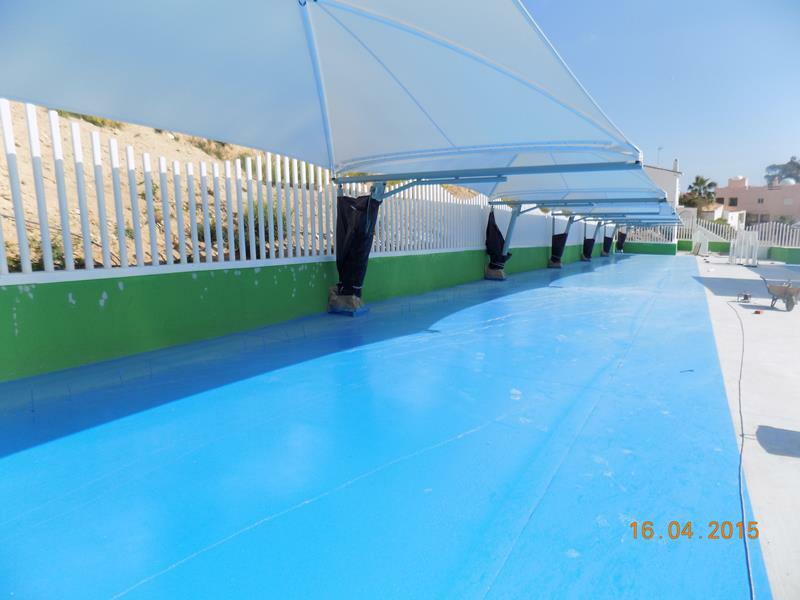 We hope you like the results.